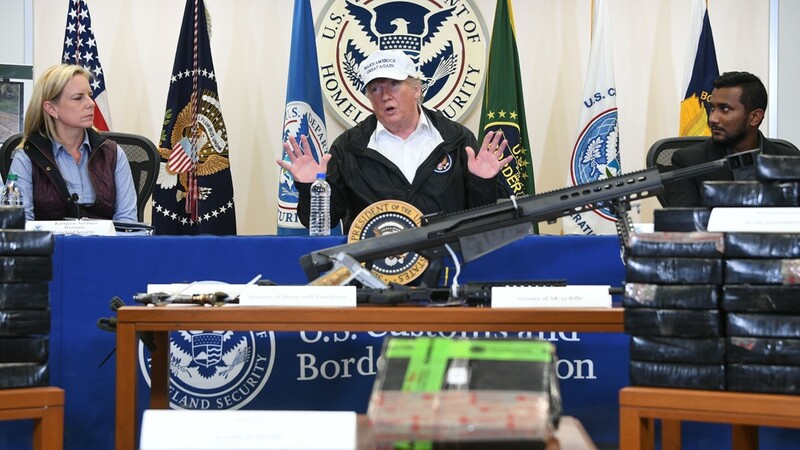 President Trump was in McAllen, TX for the first time since taking office to discuss his divisive border wall propositions. 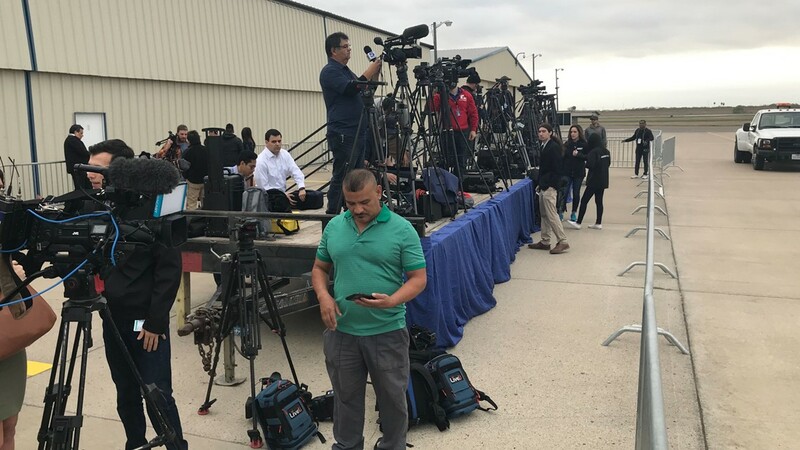 MCALLEN, Texas — Hidalgo County, encompassing the Rio Grande Valley in southern Texas along the edge of the US-Mexico border, is a primarily blue region, but you wouldn’t know it if you were in McAllen on Thursday. 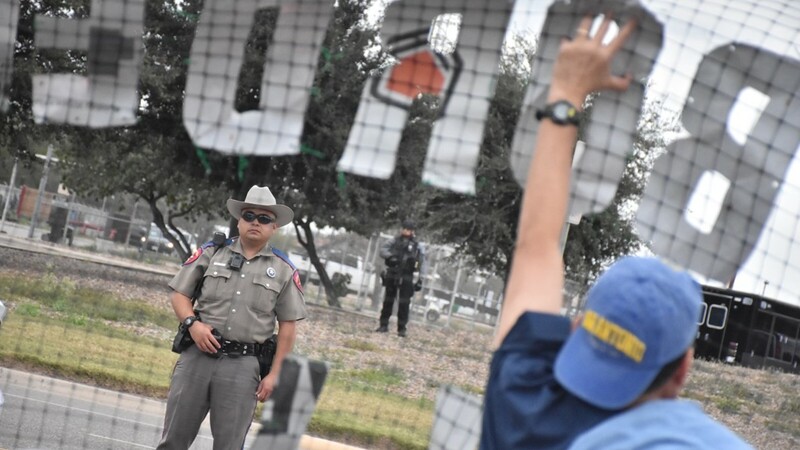 On the morning that President Donald Trump was expected to arrive in the Rio Grande Valley for the first time since he took office to discuss his divisive border wall propositions, dozens of protesters and supporters convened just across the street to make their voices heard, beginning at around 9:30 a.m.
By 11:00, the dueling rallies soon numbered in the hundreds, potentially thousands, as each corner of Wichita and 10th Street was packed with passionate community members. Tommy Hanka, wielding an American flag and sporting a “Trump 2020" cap, said he felt compelled to join fellow supporters. While sections of the borderland here already has fencing in some areas, steel slats in others and bollards in others still, along with the Rio Grande River, Trump‘s desired wall — one supposedly taller than what currently exists and made of steel or concrete — has led to widely varied reaction in this community. Also polarizing has been the reaction to his administration calling illegal immigration a crisis, though that debate has been a complex one. Many residents — most of whom have lived in the Rio Grande Valley all their lives — say the real crisis is the ongoing government shutdown, now in its third week. Others still say the crisis of illegal border crossings has been going in for years. Between 2011 and 2017, overall crime in McAllen has dropped drastically, by 32 percent. 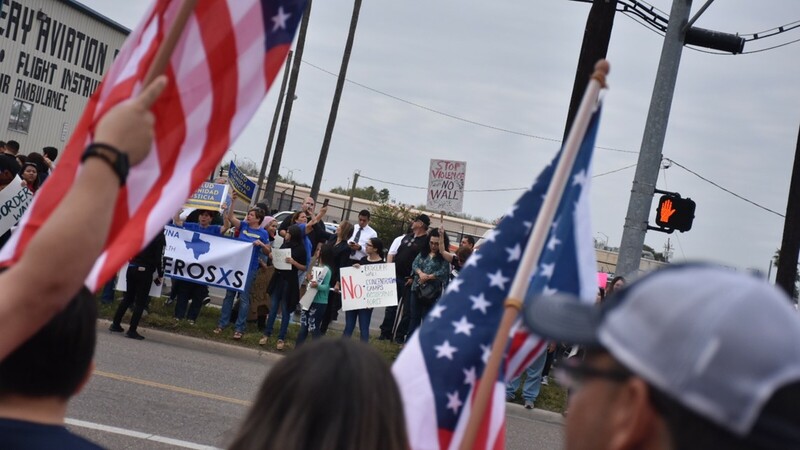 Most residents here on both sides of the debate say it’s not that they particularly feel unsafe on this side of the border, but that illegal border crossings have become as routine as legal ones. 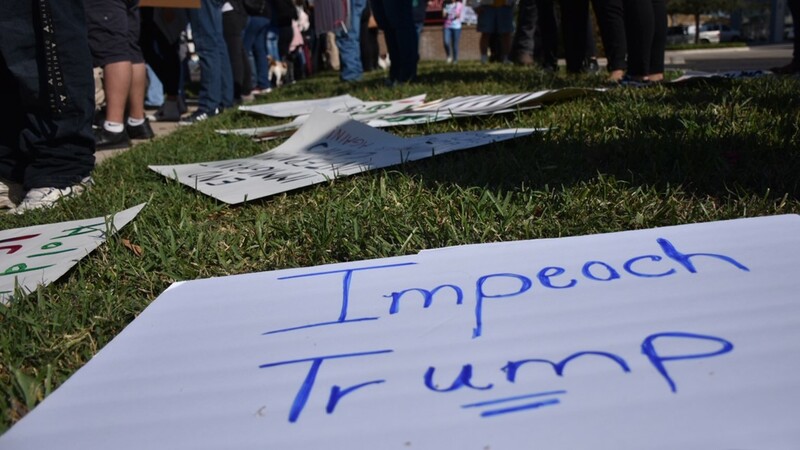 On Thursday, as opposing demonstrators shouted at each other across the intersection with chants of “Lock him up” and “Build the wall,” those stark divisions in opinions were clear, to the tune of honking horns as cars passed by. On one side: Those saying they would welcome a fortified border wall. 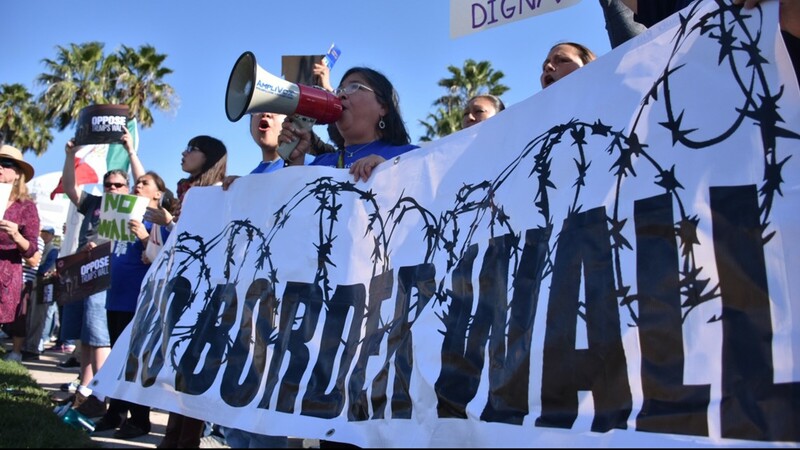 On the other: Calls to use the estimated $5.7 billion the wall would cost elsewhere, stemming from a belief that a wall won’t deter illegal crossings. 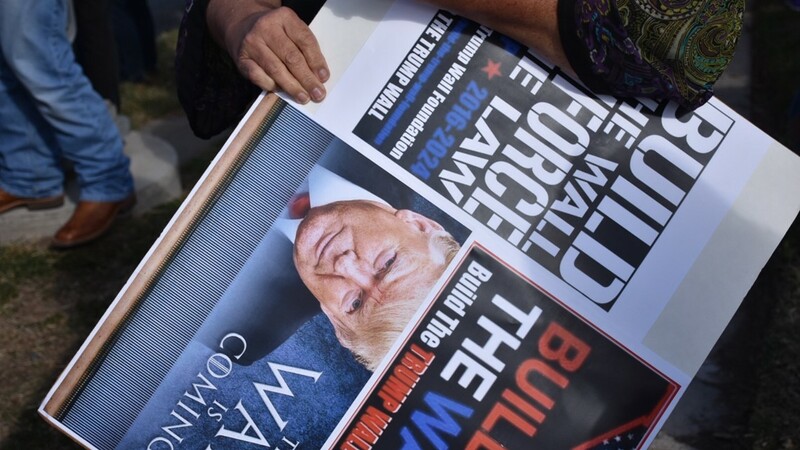 But even among both sides of the debate, there was a variety of messages that demonstrators were attempting to disseminate, whether in chants or on signage. Some in the anti-Trump crowd were specifically protesting a wall, others the estimated price tag and others still the ongoing government shutdown, which on Thursday reached three full weeks. It’s evidence that the issue isn’t black-and-white, and even those with similar mindsets on Thursday varied in the driving reasons they decided to participate. 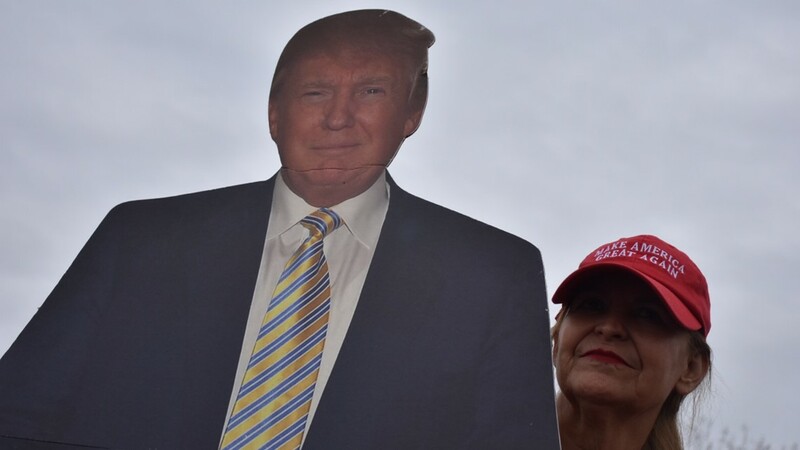 Victor Valdez said he used to live in a Trump building in New York City in the ’80s before making a home in the Rio Grande Valley, and called Trump a schemer. 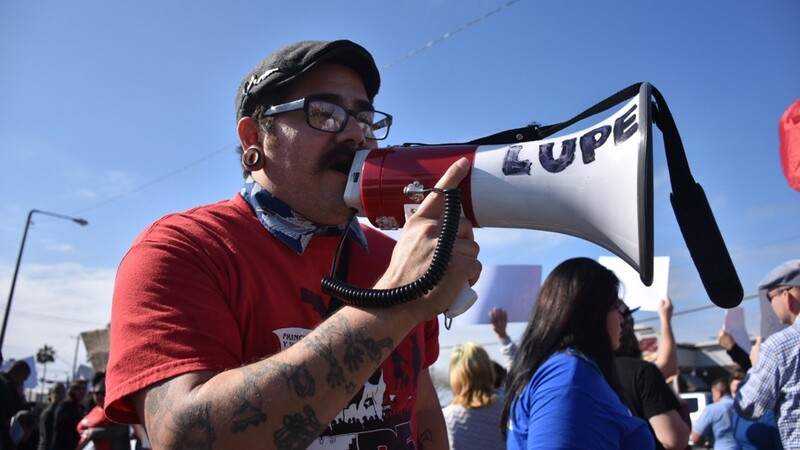 Valdez, like most here, wasn’t driven to protest because he’s opposed to border security. He said he just wants the Trump administration to be smarter about it. 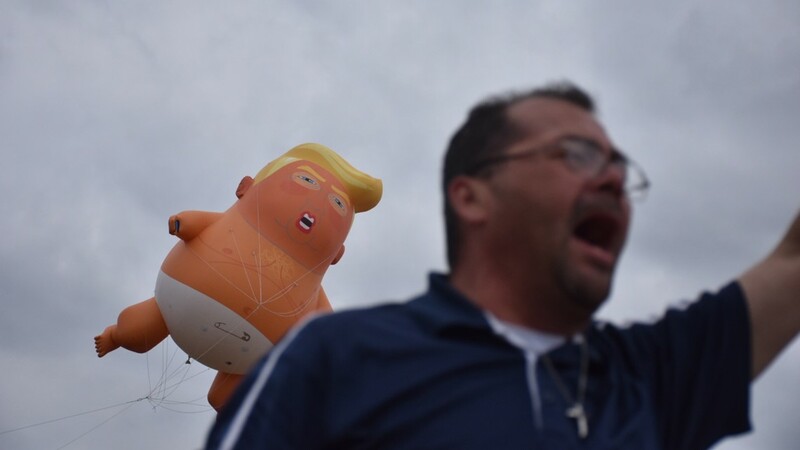 American flags and MAGA hats peppered the pro-Trump crowd, while anti-border wall signage and the now-somewhat-iconic Trump baby balloons could be seen bobbing over the protesting crowd. 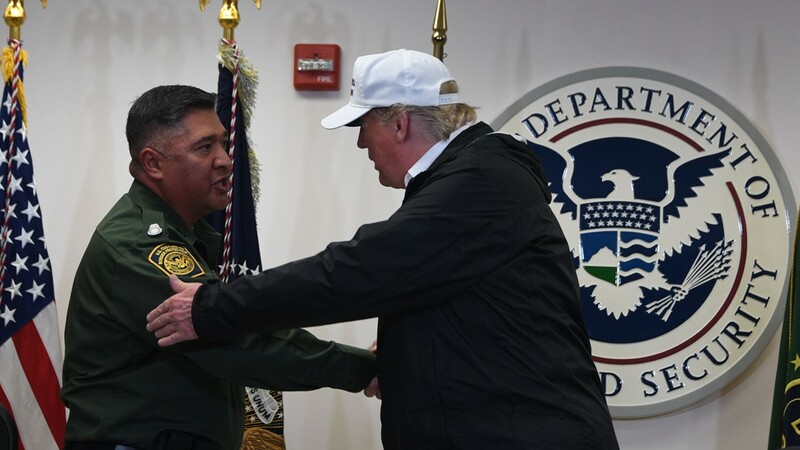 Later, as word spread that the commander-in-chief had landed, they began to make their way to the nearby Border Patrol station where the president participated in a roundtable with local officials and authorities. There, supporters and protesters lined up on one side of a temporary barricade, intermingled and continuing their attempts to out-chant one another. The attitude never became hostile, aside from some verbal spats. Instead, it was an attitude of respect, with individuals on both sides saying they were glad to see such a big turnout from the community. After all, it isn't every day the president visits this town of about 140,000. The divisions in opinion were not split down racial lines, either. Mohammed Marzabaig, bearing a "Hispanics for Trump" sign on Thursday, was proud to inform us of his political affiliation. "This is a Democratic city," he said, "and I am a Republican. I'm tired of seeing socialism infest the United States and our political system, and I just came here today to show that not everyone is a socialist." 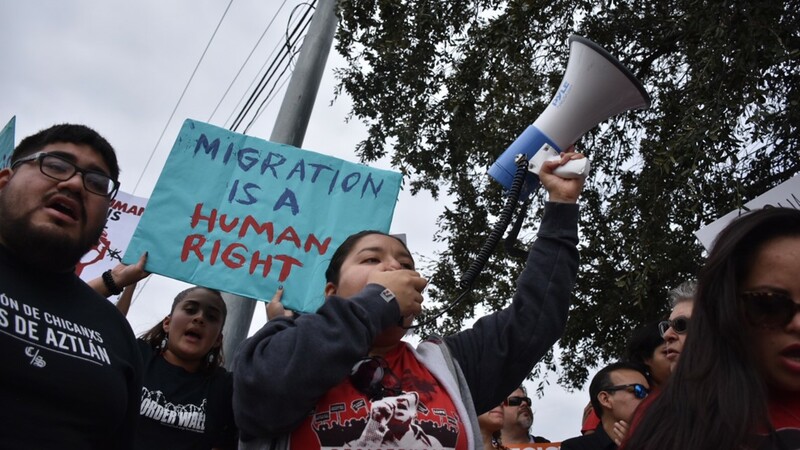 The debate over whether or not the border situation constitutes a crisis, as the Trump administration has repeatedly said in recent days, also has shades of grey the Rio Grande Valley. 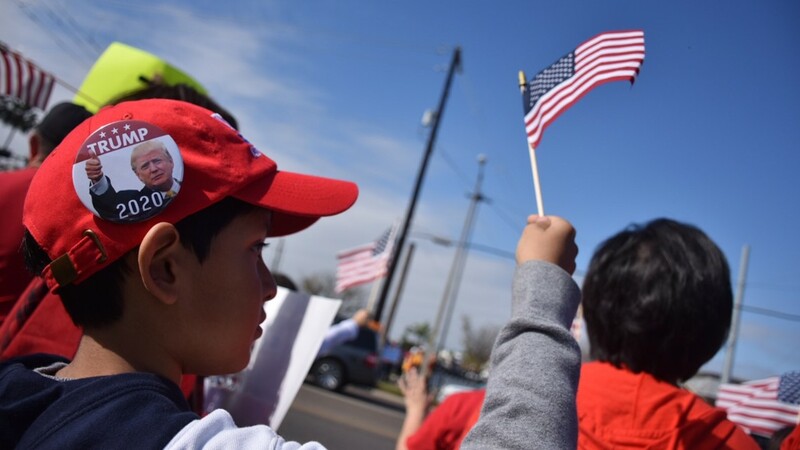 While Valdez said no crisis is to be found, Jake Mejia, a lifelong McAllen resident, said he supports Trump's border policy so his father, a Border Patrol agent, can be safer in his duties. "I'd say that it's like when you put a frog in a pot of warm water. The heat's slowly, slowly turning up; it's been like that for the past few years," he said. "It's been getting hotter and hotter. Drugs are coming through more and more. People are rushing the border trying to get across before they make this wall. It's getting worse. We need that wall." If migrants are indeed rushing the border in this area, it wasn't clearly evident on Thursday, though authorities have said they're detaining 600 undocumented immigrants daily in the area. But here, illegal border crossings are as much of a fact of life as legal ones, and even many who support Trump's agenda say the danger lies across the border in Reynosa, Mexico. Not McAllen and Hidalgo County. 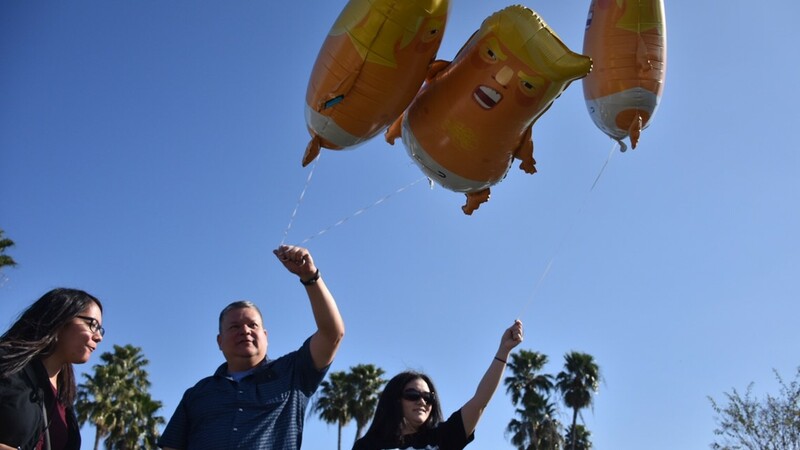 Just before 4 p.m., Mayra Cantu was sitting with her family in the back of a pickup truck parked outside La Plaza Mall, Trump flags in hand and eyes trained on the airfield across 10th Street. The area was a ghost town compared to a few hours before, but there were still some supporters present. "It was a good rally on our side, everybody behaved pretty well," she said. "We're just trying to show our patriotism. I really, really hope that he spoke to those border patrol agents who are literally on the ground. That’s who they need all those opinions from and those details on how to make the border safer (from). Not the politicians. Don’t even ask the community." The sound of a loud jet engine soon made its way to the lot as those nearby pulled out cell phones and started up some cheers. 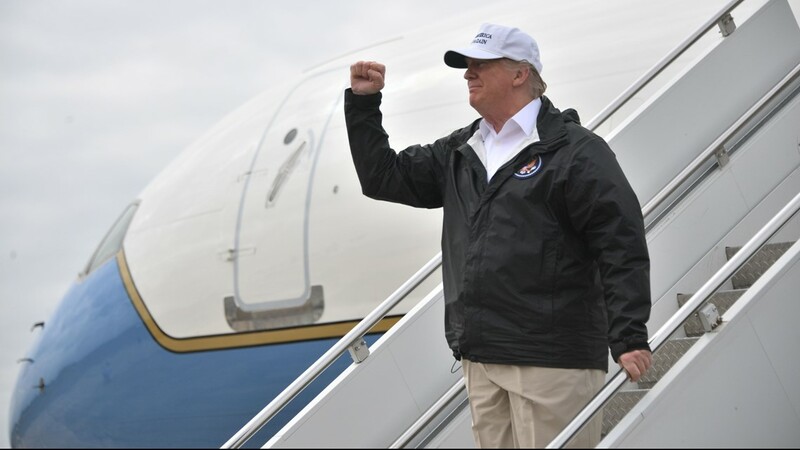 The plane carrying President Trump raced down the runway and into the clouds, and McAllen began the process of returning to normal daily life in the Rio Grande Valley. As a couple of Trump protesters across the lot got in the cars and left, Cantu looked over, smiled, waved and yelled: "See you in 2020!"